We make thoughtful gifting quick and easy! Each year, we work with top brands from Canada and around the world to create a new catalog which features collections to make it easy for you to select the perfect gift for any occasion. Gourmet - These thoughtful gifts are made for sharing. 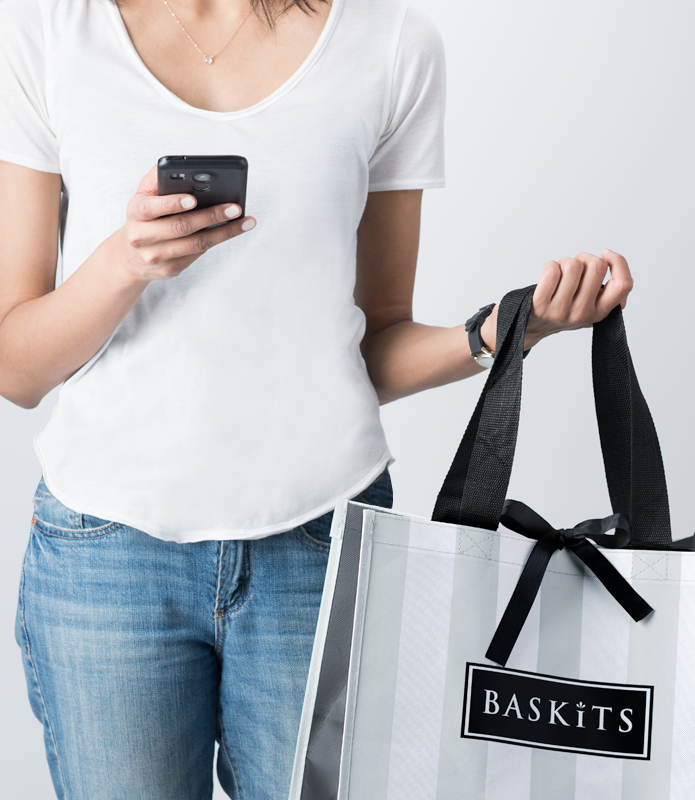 Whether with clients, prospects, employees, colleagues, family or friends, our baskits include something for everyone. Logo Branding - With elegant logo branded ribbon and custom cards, you can add a bespoke touch to any gift to keep your brand top of mind! Gift Boxes - Made for foodies, featuring small batch artisans from across Canada, presented in modern gourmet wooden boxes with hand tied ribbons. Her - From work colleagues and clients to your mom, grandma, sister, friends and “better” half, finding a gift that is “perfectly her” is now easier! Him - We offer gifts for every kind of man. From golfers and car aficionados to sports fans and grill masters, we have just the thing to get him bragging at the water cooler! Baby - We believe babies deserve better gifts – gifts new parents will go “gaga” over. Our new collection features baby gifts as exciting to receive as they are to give! Kids - We’ve assembled the cutest gifts for children’s events and birthday parties. From modern toys to classic storybooks, our fun Kids Collection has it all! Housewarming - Featuring unique and thoughtful gifts perfect for tea-loving colleagues, green thumb friends, party host clients, condo closings, housewarmings and more! Special Occasions - From weddings and engagements to birthdays, anniversaries and other celebrations, nurture relationships and leave impressions by having the finest delivered to their door!